In this 1st video Allen discusses some of the early years of his trumpet playing and how it was influenced by his surroundings. Later in the series Allen will offer some invaluable advice on testing Trumpets, Mouthpieces, playing high notes, extending your range and approaching the Jazz idiom. 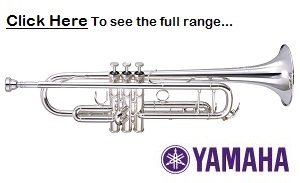 Many thanks to Yamaha Trumpets, whom Allen is a performing artist for, they have a big passion for music education and interaction with music professionals.